H&R coil overs are engineered for street use. 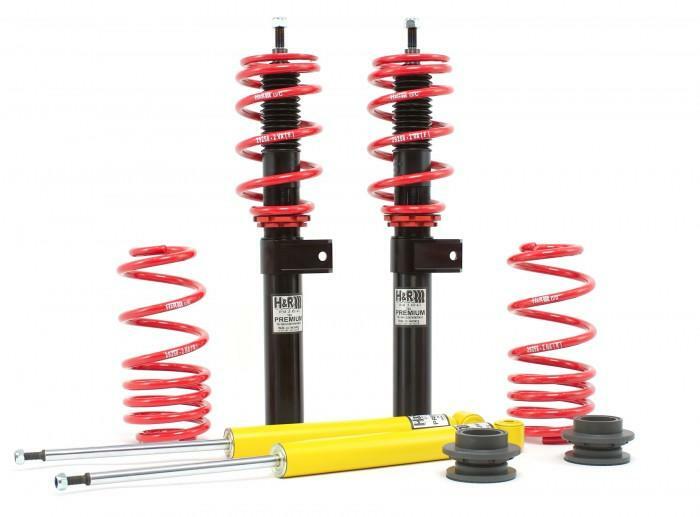 Unlike traditional twin-tube shock absorbers, H&R Coil Overs feature a state-of-the-art mono-tube gas shock construction. Combined with the knowledge and skill of H&R’s suspension engineers, the use of this state-of-the-art technology results in the best suspension product that you can buy for your vehicle. H&R continues its innovative design and manufacture of new suspension technologies with the introduction of Premium Performance Coil Overs. 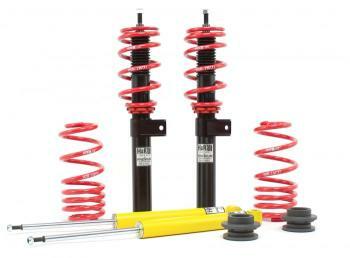 These new coil overs feature Aluminum front struts that significantly reduce unsprung weight. Weight is reduced 30 to 40% over stock struts. Reduced unsprung weight improves suspension articulation resulting in optimized performance and ride. The Aluminum struts are black hard anodized for strength and beauty. All other features are the same as the famous H&R Street Performance Coil Overs.